The quantitative stability and empirical approximation of two-stage stochastic programs with mixed-integer recourse are investigated. 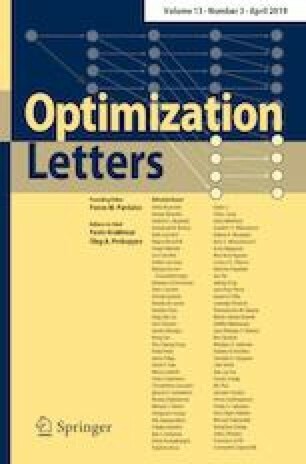 We first study the boundedness of optimal solutions to the second stage problem by utilizing relevant results for parametric (mixed-integer) linear programs. After that, we reestablish existing quantitative stability results with fixed recourse matrices by adopting different probability metrics. This helps us to extend our stability results to the fully random case under the boundedness assumption of integer variables. Finally, we consider the issue of empirical approximation, and the exponential rates of convergence of the optimal value function and the optimal solution set are derived when the support set is countable but may be unbounded. This work was supported by the National Natural Science Foundation of China (Grant Nos. 11571270 and 71371152), the World-Class Universities (Disciplines) and the Characteristic Development Guidance Funds for the Central Universities (Grant No. PY3A058). The authors are grateful to the relevant editors and two anonymous reviewers for their detailed and insightful comments and suggestions, which have led to a substantial improvement of the paper in both content and style.